This beautiful Black Bear showed up in the woods behind my house one rainy Saturday morning. I live in the North Carolina Mountains near the Blue Ridge Parkway. He is standing about 30 feet from my house. This entry was posted on Thursday, April 5th, 2012 at 5:15 pm. 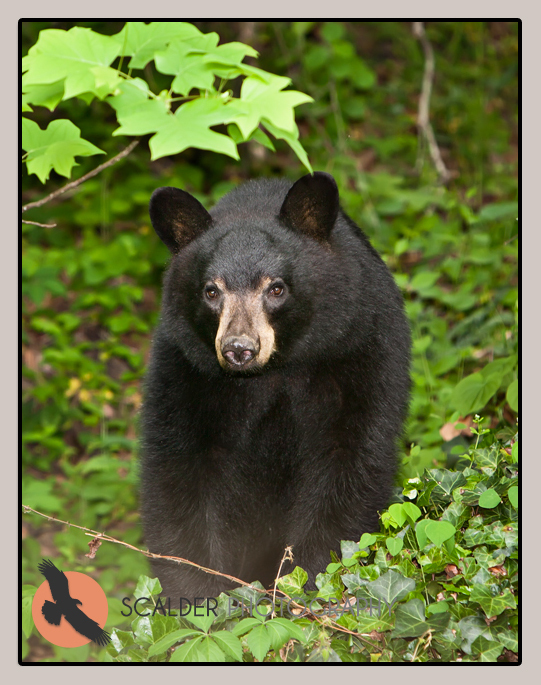 It is filed under Animals / Wildlife, Collections, Landscape, Nature and tagged with animal, bear, black bear, Blue Ridge Mountains, mountains, North Carolina, Ursidae, Ursus americanus, USA, wildlife. You can follow any responses to this entry through the RSS 2.0 feed.